Mother’s Day may have started in West Virginia in 1908, but it’s Mississippi moms who saw the biggest increase in wireless phone calls from family and friends on Mother’s Day 2016. 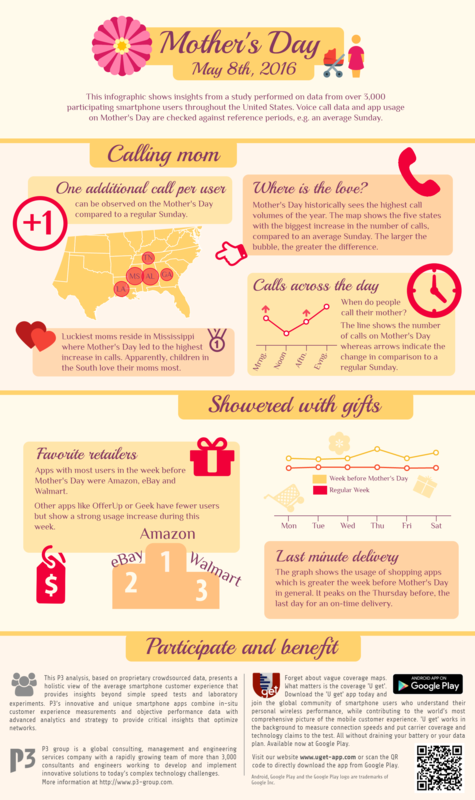 And when it comes to gifts, Amazon.com racked up the most traffic from smartphones during the week leading up to the annual tribute to Mom. Download infographic as PNG or PDF.